The Ahuriri River headwaters are located at the eastern flanks of the Southern Alps and just across the road from Dunstan Downs High Country Station. The river flows 70km on the southernmost part of Mackenzie Basin before reaching the arm of Lake Benmore. The upper portion of the river is within the Ahuriri Conservation Park. Ahuriri River is known and well regarded as a fly-fishing river. The beauty and majesty of the Ahuriri River is just the tip of the iceberg. 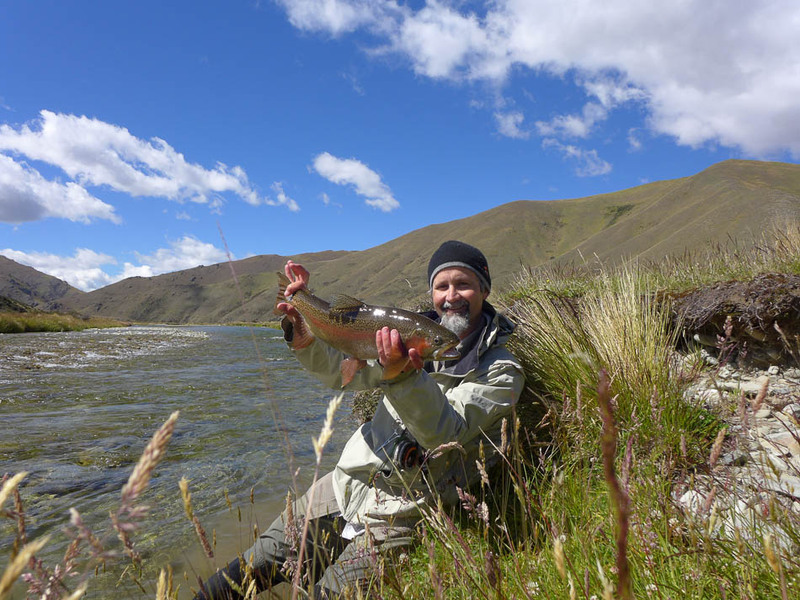 Surrounded by stunning mountain views, the Ahuriri River is home to the trophy trout. Fishing at Ahuriri River is an exciting experience. You can catch brown and rainbow trout in one of the most naturally beautiful rivers in New Zealand. If you are a keen fisherman or woman, the Ahuriri River will not disappoint. It is one of the best scenic fishing rivers, flowing across the vast tussocks and valleys of Otago. Please make sure that you read this guide NZFishing.com before you decide to fish in the Ahuriri River. It provides a comprehensive overview, as well as details on fish size and limitations. After a day of fishing come back to the farmstay and cook your catch in your self-catering accommodation. Geva will be able to help you out with a recipe or a wedge of lemon if needed! or kick back and rest and let Geva do the cooking.